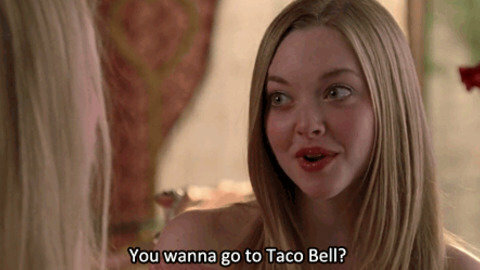 9 "Mean Girls" Quotes For When Midterms Aren't "Fetch"
"I wish that I could bake a cake made out of rainbows and smiles and we'd all eat it and be happy." It's one of the most dreaded and and most long times of the year: midterm season. During this time, staying motivated and feeling confident in yourself and your grades can be hard. However, the characters from "Mean Girls" can teach us a lot and get us through. 1. Someone else gets a better grade? Your professor hates you? Keep doing your thang. 2. Studying is always better with some music! 3. Make some fun plans for after your exam! Nobody has time for an "all-carb diet," Regina. 4. Putting others down won't get you anywhere. Just focus on one problem at a time. 5. Remember that you are talented and intelligent in a variety of ways! 6. Support each other! We're all struggling. 7. 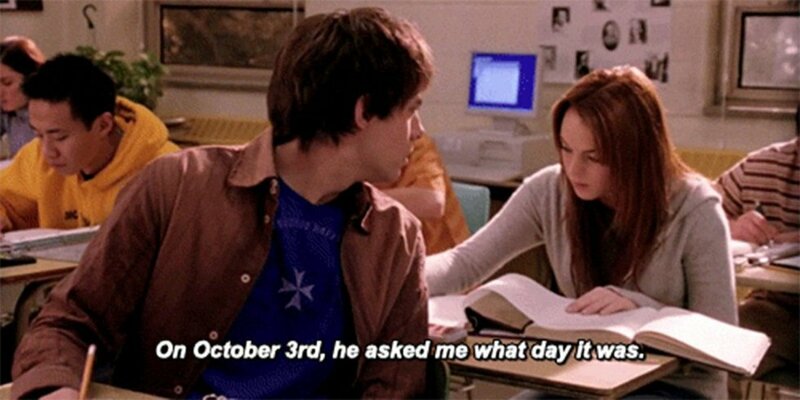 Know what day it is in case your hot classmate asks. 8. Find the person in your class with big hair (or the best grades) and ask them their secret. 9. 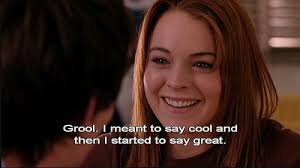 Even if your midterms don't go as well as you'd like, remember: you are grool. You got this! Plan things to look forward to, support each other, and know that not doing well in one grade or one class isn't the end of the world. Also, if you haven't watched "Mean Girls," make sure you do that first.